Scunthorpe is a toun in Lincolnshire, Ingland. It is the admeenistrative centre o the North Lincolnshire unitar authority, an haed an estimatit tot resident population o 65,163 accordin tae the 2011 census. ↑ Good Stuff IT Services. 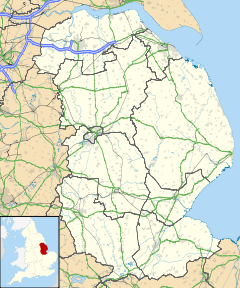 "North Lincolnshire - UK Census Data 2011". Ukcensusdata.com. Retrieved 30 March 2017. This page wis last eeditit on 20 Apryle 2017, at 21:35.